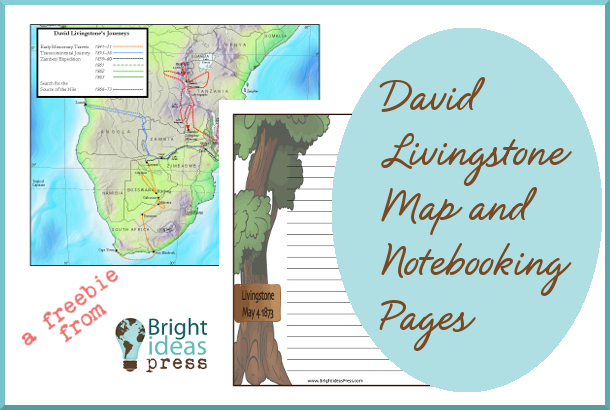 March 19 is the 200th birthday of David Livingstone. In his honor, we created your March freebies. Just click the text links to download the PDFs. Then you can save or print them for a homeschool history lesson about this famous missionary and explorer. To learn more about Livingstone’s routes, see this map of Africa. These maps were designed by Tyler Hogan, the author of WonderMaps. These Livingstone maps will be included in future updates of the software.